Install custom new windows to increase your home’s energy efficiency and curb appeal. Georgia heat and old windows make for a bad combination. Instead of wasting money trying to keep your home cool, you should consider installing Sandy Springs replacement windows to increase your home’s energy efficiency! With proper installation and the skilled contractors at Tight Line Exteriors, you can be on your way to saving money in no time. Trust our team of designers and installers to help you select the ideal shape, style, and fit of your new bow windows! Bow windows get their name from their gentle curve created by joining four or five windows that extend out from the exterior of your home. This unique shape increases your home’s curb appeal while letting in more natural light, and you can customize each individual window pane to control airflow and ventilation. When it comes to Sandy Springs garden windows, many gardening and cooking enthusiasts love this product’s innovative design that provides plenty of room to house indoor plants. Whether you enjoy fresh herbs or just want more greenery in your favorite room of the house, you can watch your plants thrive in the natural light and ventilation from our selection of high-quality garden windows. Come to Tight Line Exteriors for all of your home window needs in Sandy Springs! We proudly offer a variety of different style options, and our experienced crew will guide you through the selection process to make the choice less overwhelming. Our expertise gives us the knowledge to find you the perfect match for your taste, goals, and budget—whether you are building a new house or fixing up your existing home. Whether you want the traditional look of double-hung windows or need to make a statement by having bay windows installed in your home, Tight Line Exteriors offers superior Sandy Springs window installation services to meet your unique needs. 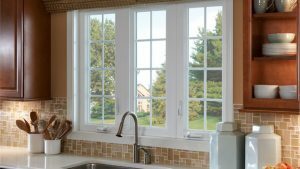 Our highly trained installers know exactly how to replace your windows to maximize efficiency while minimizing the disturbance to your daily routine. If you are tired of your drafty windows driving up your monthly energy bills, contact Tight Line Exteriors today to learn more about our affordable replacement windows and expert services. You can give us a call to speak with one of our knowledgeable window installers, or fill out our online form today to request a free quote and in-home consultation!